In 1978 Rose Sinatra came to Los Angeles from New Jersey for a short vacation and because of the warm weather, soon after relocated permanently to California. Being self-supporting, she maintained a full-time career working with computers and created art in her spare time. In the early nineties she reached a turning point in her life when she took a plein-air class in watercolor and met other artists. Rose chose to switch from oil painting to watercolors, took workshops, joined art groups, and sought out professional watercolor teachers -- the drive? Always to create good art. After retiring from the business sector, Rose began teaching drawing and watercolor classes in the Montrose and Claremont, California. Rose Sinatra has been an exhibitor at the Brand Library, VIVA Gallery and Watercolor West.  She has won awards in the San Gabriel Fine Arts Show, the Mid Valley Arts Leaque, Pasadena Society of Artists show and top Skyledge Award with TWSA (Transparent Watercolor Society of America in 2009. Her art work was published in New Jersey Countryside Magazine, Watercolor Artist, along with plein air works from her sketchbook in the Artist's Sketchbook magazine. Rose has an annual show at Alhambra City Hall Gallery in Alhambra, California. I am an extremely fortunate human being. I say this because of my belief that each of us is born with special gift. I'm equally fortunate that I acknowledged mine many years ago. A gift that has become a major source of my being, and that is my unbelievable love of creating and observing art. I share the same passion with artists before me, to capture nature's incredible and elusive beauty. I feel blessed that I can see the world through these eyes, although many times the results of my work are not what I see, but how I feel inside when painting. Mid Valley Valley Arts League, Inc.